Wrecked cars are the lifeblood of our business. What most people see as a financial disaster, we see as an opportunity to keep other cars on the road. When spare parts can be salvaged from wrecked cars, we find buyers from the network of spare parts dealers we've built over the years. We also recycle every part that can't be salvaged and used again. From the steel to the glass, from carpet to seats, wrecked cars are a huge source of parts that we are happy to recycle. 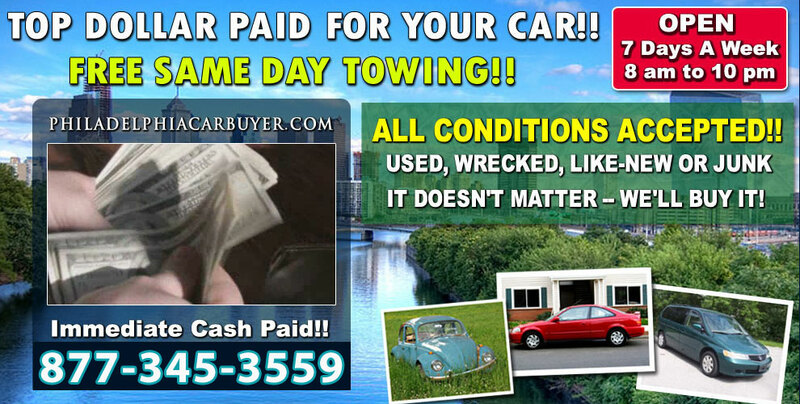 The best part for our customers is that we pay cash for wrecked cars. Too many people pay for towing and storage of their wrecked cars. There is money to be made, and we're happy to share that with the seller. Recycling is in, the economic times are forcing many people to keep old cars longer, and China and India have an insatiable appetite for recycled steel. While a wrecked car is never good news, you shouldn't have to pay a dime to get rid of it. In fact, you should end up with a couple of bucks in your pocket. Turn Your Wrecked Car Into Cash Now!